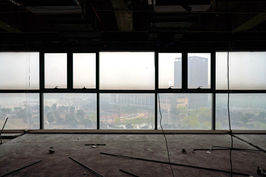 The 24-story Financial Tower in Zhenjiang, Jiangsu province, has a great view. Spectacular, even. It's also spectacularly empty. And its builder, spectacularly in debt. Today, the building stands as a symbol of the white elephant projects of thousands of local government financing vehicles (LGFVs), companies set up by local authorities to borrow money to fund infrastructure and public welfare spending. 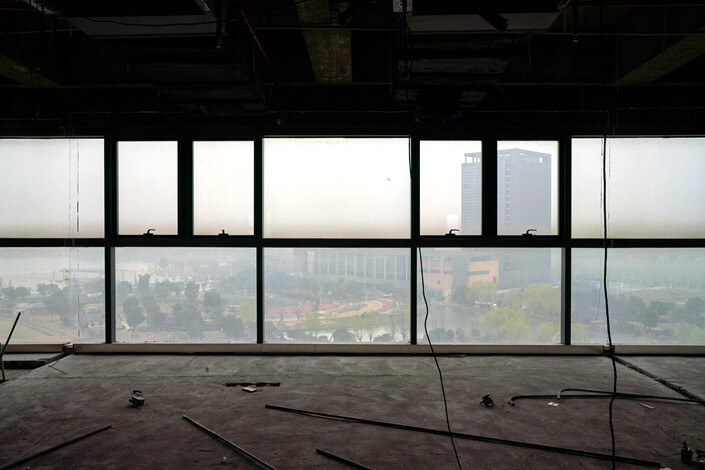 Like many local authorities, Zhenjiang managed to kick its debt can down the road for years through means such as refinancing. But 2019 could be the year of reckoning as a total of 50.4 billion yuan ($7.5 billion) in principal and interest on bonds issued by Zhenjiang’s LGFVs come due, an almost 60% jump from 2017. This, of course, is all while economic growth slows and belts are tightened. 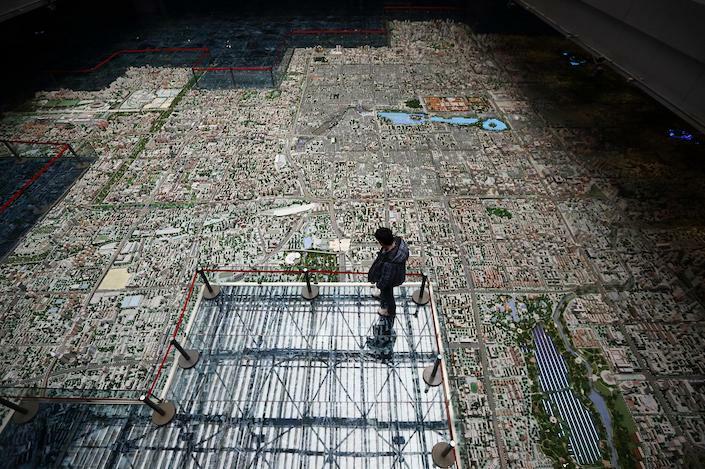 Between official and off-the-books borrowing, the total debt of local governments amounts to more than 70% of the country’s 2018 GDP, according to Caixin's calculation based on official data and estimates provided by regulatory sources. A huge chunk of that hidden debt lies with LGFVs, of which Zhenjiang reportedly has 18. Once famed for producing fragrant black vinegar, the city is now at the center of a government and regulatory battle, as well as a testbed for a cleanup worth trillions of yuan. Check out part one of our in-depth look. The IMF raised its 2019 China growth forecast to 6.3% from 6.2% Tuesday, partly reflecting brighter prospects for trade negotiations between China and the U.S. However, the country should not resort to massive infrastructure spending to shore up growth and avoid further easing of monetary policy, the fund said in several reports Wednesday, warning that vulnerabilities in the world’s second largest economy “remain elevated.” It suggested that a large-scale infrastructure investment stimulus would boost short-term growth but raise the likelihood of a "sharp slowdown" in the future. Some of China’s richest provinces and municipalities are being asked to dip into their pockets this year to help struggling neighbors pay their retirees as the government takes another step in its efforts to overhaul a pension system that faces a growing regional shortfall. The central adjustment fund, which was set up in July 2018, plans to collect revenue of 484.5 billion yuan ($72 billion) this year from the pension pots of the mainland’s 31 provincial-level governments, which will then be redistributed among the regions facing mounting pressure to pay retirees, according to Ministry of Finance data. Hunan Asset Management Co. Ltd., one of Hunan province’s state-owned asset managers, issued the province’s first special bailout bond Monday in an attempt to help listed or privately owned companies struggling with financing problems, according to the state-run Xinhua News Agency. The 2 billion yuan ($298 million) nonpublic corporate bond is priced with a coupon of 4.5% and will mature in five years. Since last year, multiple local governments have rolled out a slew of bailout policies, including setting up bailout funds and requiring creditors not to freeze companies’ assets as the whole corporate sector has faced liquidity problems amid a slowing of economic growth. The Shenzhen Stock Exchange launched two new indexes Tuesday to track innovative businesses registered or headquartered in the Greater Bay Area as the central government pushes broadly to enhance regional financial links. 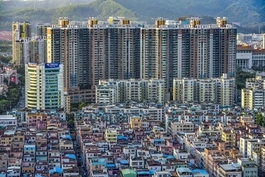 The indexes will track shares traded in Hong Kong, Shenzhen and Shanghai that are qualified for the stock connect program. The Bay Area Innovative 100 index includes 100 companies that are in emerging sectors including advanced manufacturing, services, marine business and other strategic industries. The second, broader new index is the Bay Area Composite Index. Both indexes will start from a base of 1,000 and will track stock performance starting June 30, 2017. Chinese industry officials, traders and miners have warned that China’s cuts to Australian coal imports would be greater than from other suppliers as the country moves to tackle oversupply and prop up domestic suppliers and cleaner alternatives. They confirmed fears that existing restrictions and delays would drag on. 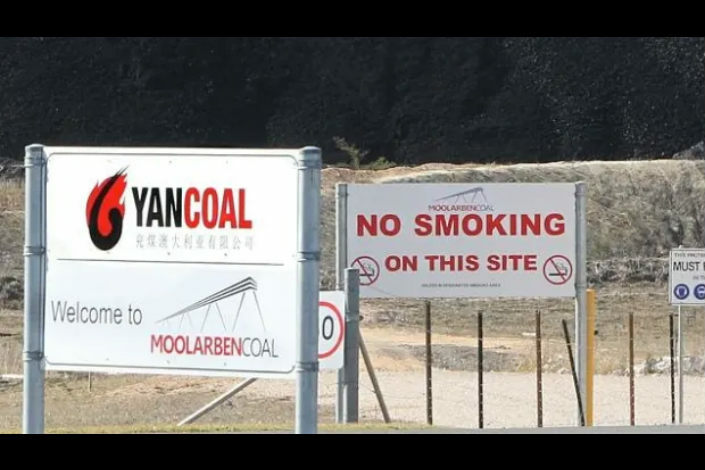 While officials denied import restrictions were politically motivated, Chinese coal traders said privately that Australian exports were being targeted. One trader said Australian coal was now banned at all ports in China, but two others said the situation was unclear and coal was still getting through. 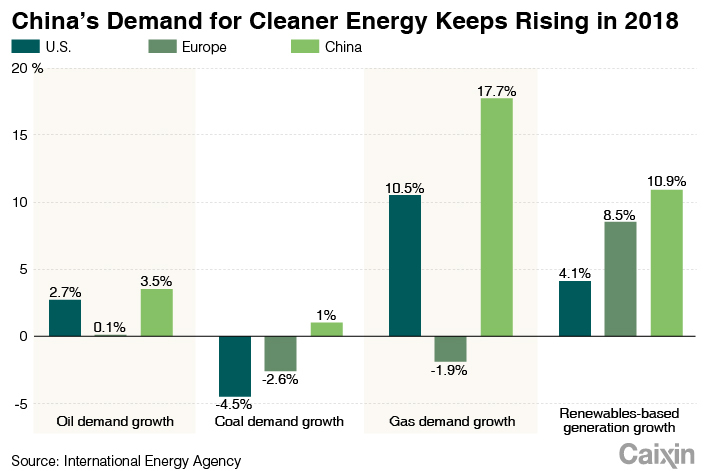 China’s demand for energy resulted in double-digit growth for both gas and renewables last year. The country surpassed Japan to become the world’s biggest gas importer, largely thanks to the government’s drive to shift the burden of heating homes away from coal to natural gas. China’s rail construction boom is likely to steam ahead this year with increased infrastructure spending on subways and light rail systems, according to China Railway Group Ltd., the state-owned railway builder, whose executives expect new orders in 2019 to increase at least 6.5% to 1.8 trillion yuan ($268 billion). Three major filmed entertainment companies forecast major profit declines in the first quarter, with two saying they fell into the red, as the industry suffers under the weight of a broader slowdown after years of breakneck growth. The downbeat forecasts sparked a Wednesday selloff for the sector, following release of the forecasts by Beijing Enlight Media Co. Ltd., Huayi Brothers Media Corp. and Zhejiang Talent Television and Film Co. Ltd. after markets closed the previous day. All three were down by more than 4% during the trading day, with Enlight closing down 3.7%, Huayi 4.1% and Zhejiang Talent 0.12%.